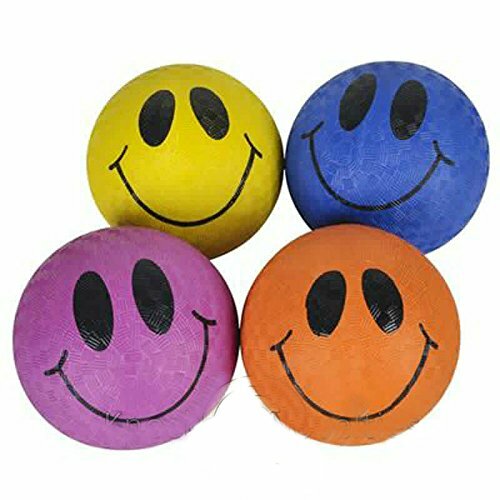 5'' Smile Face Playground Ball Novelty Gift Item Play Fun Outdoor Toy by Unknown at Scruffs Game. Hurry! Limited time offer. Offer valid only while supplies last. This collection of small playground balls features smiley faces in a variety of vibrant colors. Assorted Colors shipped at random. It's a bouncy sensation designed for maximum recreation.